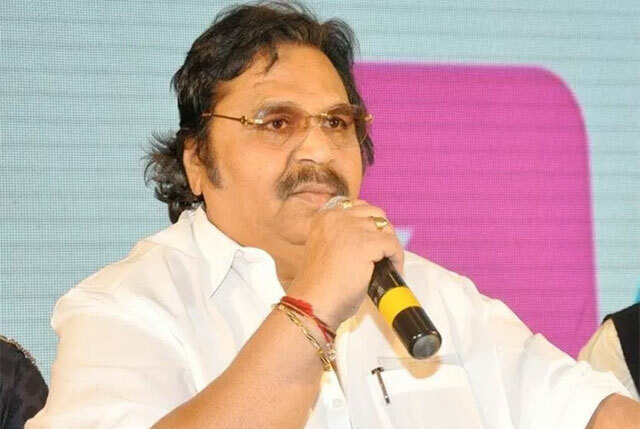 What Is The Truth Behind Dasari Biopic? Dasari Narayana Rao is not just average filmmaker who got famous and continued with that name. He and K. Raghavendra Rao are called legends because of the difference they could bring to Telugu Cinema. KRR brought glamour to the scenes while Dasari gave grammar. The maker believed in dialogues more than filmmaking techniques and found out some easy techniques to make any actor shine. But he did give some really good films that don't really care about box office, in his prime with best filmmaking techniques, he knew. Also, he could take the highest remuneration than any other filmmaker at his prime. With such illustrious career many would have thought about bringing his life journey to the fore front and make a movie. His life does have controversies, ego battles and even better - highs and lows. He confessed that he couldn't make as much money as he should have. If nothing else, just to see him being an authoritative figure on screen would be a great joy. But none of his prominent disciples like Murali Mohan, Jayasudha, Mohan Babu taking charge to make a biopic on him is really being talked about in Industry. Some said that there will be a biopic his life but nothing seems to be happening. A source shared that C. Kalyan is acting as Dasari in one movie and another news update is that Aditya who is making Rajakumarudu, Kantha Rao biopic, has plans to make a biopic on Dasari as well. Hope the director gets a tribute he deserves, as he also been a man to stand up for all the unions of TFI and the person who regularised many income streams for them. Also, as Cabinet Minister, he did work for welfare of country which did leave a black mark in his otherwise, perfect life! Nagababu Took The "Return Gift" From Sivajiraja In A Fun Way!